A tricky spot: You have A-A and continuation bet a coordinated eight-high flop, then get min-raised. In his "Weekly Poker Hand," @JonathanLittle looks at a tricky cash game spot faced by Steve Gee. This one features Steve Gee, a player some may remember for having made multiple deep runs in the World Series of Poker Main Event (9th in 2012, 24th in 2013). 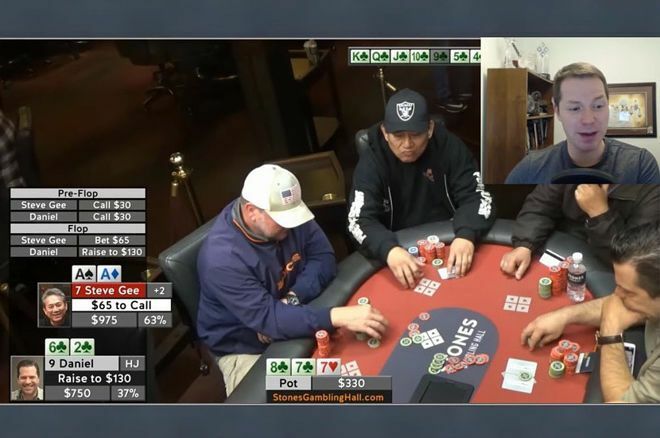 In the hand Gee faces an interesting spot with pocket aces when after an eight-high coordinated flop he continuation bet then gets min-raised.